Personal injury damages throughout the Commonwealth can be a complex topic. The types of damages an injured party may recover differ depending upon the theory of liability under which a claim is brought. Before discussing the types of personal injury damages, it’s important to realize that personal injury damages cannot be speculative and that they do not act as a windfall to an injured party. The standard for recovery in a personal injury claim is that a plaintiff should recover for all consequences that were proximately caused by a negligent party. These personal injury damages may include medical expenditures that an injured party has made or will be obligated to make in the future, compensation for or reimbursement for past and future pain and suffering, past and future mental distress, the loss of time from work, loss or reduction in the capacity to earn, and, lastly, the loss of the pleasure of life and diminished life expectancy. The injured party’s age, recreational pursuits and their pre-accident state of health are all relevant variables to be presented to a jury for consideration. Sometimes, depending upon the circumstances, there can also be a claim for punitive damages which may be as a result of wanton, reckless, malicious behavior on the part of the responsible party. Depending upon the theory of the claim, punitive damages may or may not be available. 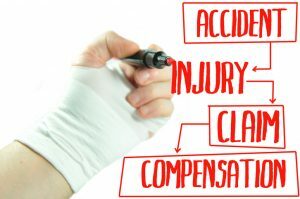 Generally, the awarding of personal injury damages is an attempt to make the injured party whole or to restore the injured party to his or her pre-injury status. A jury is given very wide discretion in awarding such damages. Generally, no fixed mount exists for personal injury damages. A common defense is that the injured party’s claims for medical expenditure reimbursement, loss of earnings and pain and suffering, while they may exist, are not proximately related to the injury. Meaning, that while these personal injury damages exist, they were either not caused by the wrongful act or that they were caused by some intervening event which occurred after the injury. Once a jury makes an award, depending upon the type of claim and the responsible party, interest may be added to the amount of the ordered recovery. Sometimes interest can be as great as 12 percent per annum, which, depending upon how long it took to obtain a jury award, can sometimes be as great, and even exceed, the amount of the original jury award. Some defendants are exempt from this type of interest and others enjoy a lower rate of interest. Depending upon how many responsible parties are included in a personal injury damages claim, if the jury determines that all or some of the defendants are responsible for the injured party’s damages, then those held responsible will be obligated to reimburse the injured party. Sometimes, depending upon the circumstances, a responsible party can be responsible in a very limited way, in comparison to another responsible party, and still all parties have to share in this obligation to the injured party. If you or someone you love has sustained personal injury through no fault of their own, contact the Law Office of James G. Haddad. We’re ready to help you with your case for personal injury damages in central Massachusetts.